"Go With Your Gut Feeling"
What does "go with your gut feeling" mean to you; our readers, Classic car owners, Collectors and Entrepreneurs? To us, it means there is no room for paralysis by analysis. You have to take your ideas, wring out the details, form a plan, then do it. Whether your objective is to meet the exacting standards of a factory level restoration, design and build a one-off Classic, or tackle widespread issues with a technology-based solution, there's risk involved. You know that failure is an option and that if you are not occasionally failing, you are not innovating enough. Your passion screams out, "Optimism? Pessimism? F*** that! As God is my witness, I'm hell-bent on making it work and we are going to make it happen". And when something is this important, you should still do it, even if the odds are against you. That's what we did a few years ago and despite all of the setbacks and failures, we are succeeding. But the subject of this post is a TED presentation which bridges the Collector Car Market and the Entrepreneur Community. The presentation is given by Magnus Walker. It's more likely than not, you've never heard of him before. It's also likely, you will never forget him. During the above presentation, Magnus mentions a film which premiered at the Sundance Film Festival, entitled "Urban Outlaw". 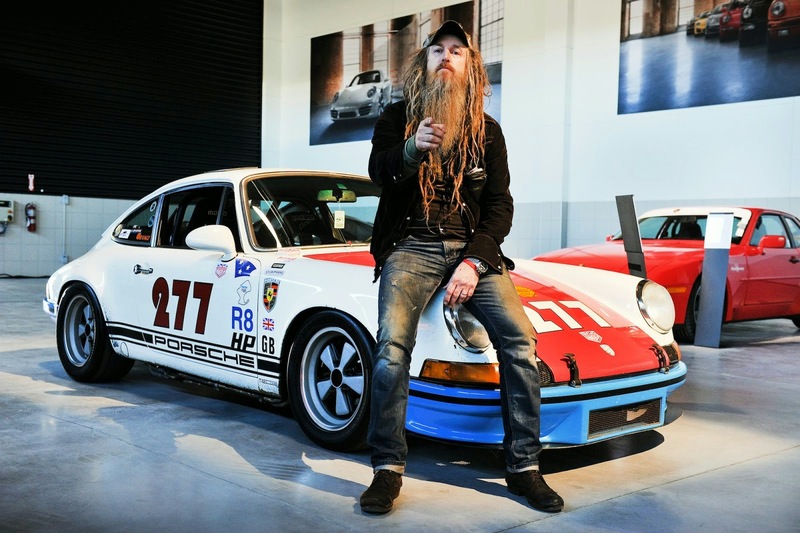 "URBAN OUTLAW" is a portrait of Magnus Walker, the rebel Porsche customizer who turned a hobby into an obsession, and an obsession into a successful business. From a workshop in downtown Los Angeles, Magnus obsessively harvests fragments from donor 911s, grafting them onto vintage frames to create one-off automobiles with the spirit of Ferdinand Porsche but an ethos entirely his own." You can read our "Urban Outlaw" post and watch the film here.